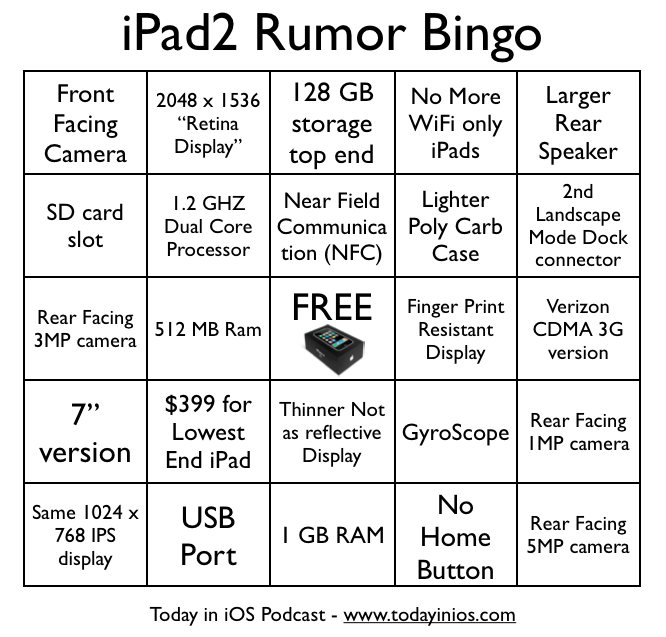 2048 x 1536 "Retina Display"
iPad 2 to Include 3 Megapixel Rear Camera and 720p Videoing? Cash in to get Verizon iPhone 4. Get cash for your iPhone, Droid, and more.